Summary: Vendor-provided, bank-curated client offerings are still relatively new and they may sound costly. However, they could provide you with another way to engage your business customers. 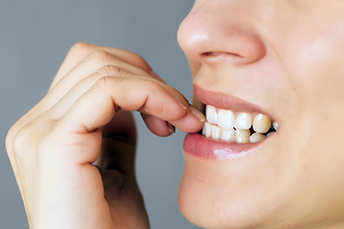 How crazy is it that a woman who reportedly made it a habit to bite her nails had to have her thumb amputated after developing cancer. It seems the young woman of only 20 had contracted a rare form of skin cancer. Doctors say the chronic trauma and inflammation of biting her nails likely led to the skin cancer. For community banks, small business customer habits can also be a struggle. Between navigating separate platforms for banking, enterprise resource planning, human resources, and accounts payable, your small-business banking customers have a lot on their plates. As such, perhaps your bank could provide a valuable service to those customers by creating simple packages that integrate these functions. This may sound costly and a bit out of your area of expertise, but humor us and read on as we explain some of the benefits of these packages. Packages of vendor-provided, bank-curated client offerings are still relatively new, yet so far they seem to fall into four categories. The first type aims to provide an all-in-one back office. Instead of wrestling with a variety of systems for enterprise resource planning, human resources, payments, accounting, and bank transactions, clients get a single, integrated offering. Small businesses in nearly any industry can use this kind of service bundle, and community banks have another valuable way to hook business customers. The second type of offering is aimed at clients in a particular industry. A bank might offer a segment-focused package for dental practices, for instance, that consists of a bank account, market research, advice on business management, a profitability benchmark for the customer's geographic area, and information about best financial practices. If you find you have an especially high concentration of business customers in one area, this may make sense. A third offering focuses on life events, looking to fill certain needs during big turning points, such as starting a business or expanding one from a national footprint to an international presence. Customers often look for new banking relationships during these major events in the life of a business, and community banks might look to attract customers by offering pertinent services. For instance, you might increase your bank's roster of international business clients by providing a package that includes import financing, trade services, an expert advice call line, and other resources that a business in the early stages of international expansion would probably find useful. The fourth strategy is to provide a turnkey solution to a specific, ongoing problem. Perhaps you offer an online tool that boosts clients' sales numbers by helping them learn more about their own customers through loyalty level, wallet share, market research, and competitive analysis for instance. The best packages in every category build on existing platforms. They focus on a theme and are designed around a firm's core banking needs. They don't try to solve all a client's problems at once, and they leave some to specialist partners. To curate packaged offerings, you'll have to navigate new situations, evolving your own partnerships and structure to the level that your clients expect. The National Federation of Independent Business (NFIB) reported small business optimism jumped to its best level in history, beating the previous record hit in 1983 under President Reagan. The increase in optimism peak was attributed to lower regulations and the positive impact of tax cuts. A combination of factors including a shift to internet and mobile banking, demographic changes and electronic payments has pushed banks in Europe to reduce headcount to the lowest level in 20Ys. US bankers should expect that trend to continue to accelerate here as well in the coming years, as branches and physical touch points are right-sized. Digital Banking Report research finds 64% of financial institutions surveyed said they were as concerned about the threat of fintech disruption as they were in competing with traditional banks and another 30% said they were very concerned about fintechs.